Nicaraguan Sel. 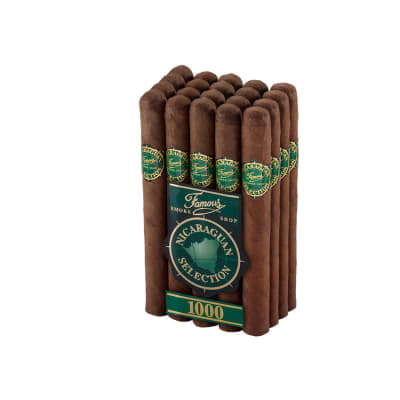 1000 Churchill cigars have a well-made, medium-bodied blend of rich-tasting Nicaraguan longfiller tobaccos handrolled into mild, sweet-capped Indonesian wrappers. The smoke is well-balanced and aromatic with notes of caramel and sweet spice. One of our best-tasting best-buys! I wasnt expecting much and was pleasently suprised, the draw was a little tight but tasted great, not very compex but made up for it with its smoothness and I smoked it down to about four inches and it still was tasteing good. 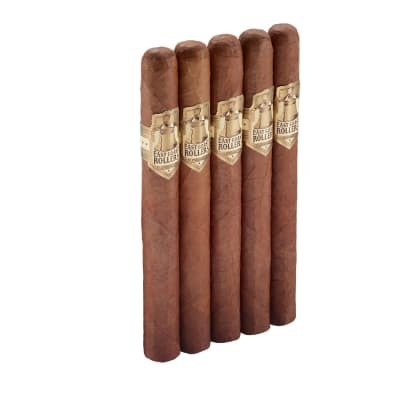 I won these in a auction and I think I found a great cigar for the buck ! RECIEVED THE MADURO CHURCHILLS MADURO WRAPPER VERY LIGHT LOOKED LIKE A NATURAL. HAD SOME MINOR WRAPPER ISSUES ON A COUPLE. FOR THE MONEY THESE ARE WORTH THE PRICE. 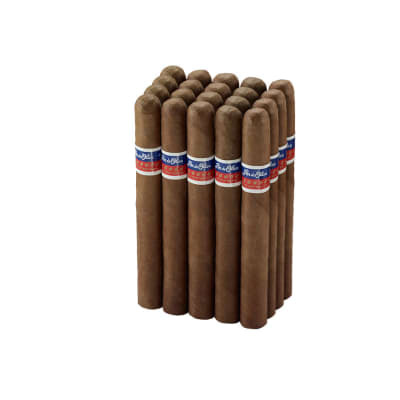 I GAVE MINE A DOUBLE DOSE OF WINE ON THE WRAPPER AND LET THEM SET FOR A COUPLE WEEKS, MAKES FOR A GOOD CIGAR, AS THEY ARE THEY ARENT TO MY TASTE BUT THATS A PERSONAL THING, THEY ARE FOR THE MONEY, A DECENT CIGAR. 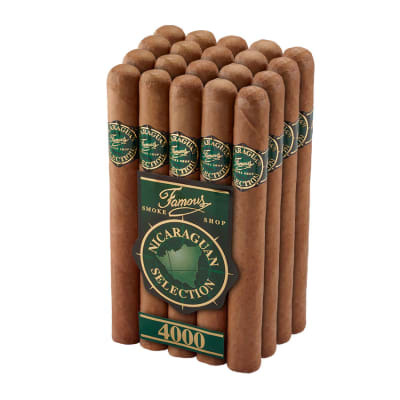 I HAVE THROWN SO MANY CIGARS AWAY FROM THOMPSON CIGAR CO. THAT I WONT ORDER ANYMORE FROM THEM. 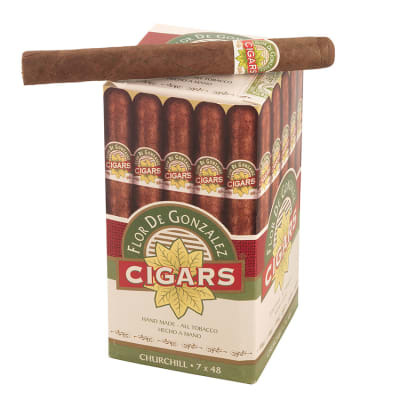 I JUST THREW AWAY 4O CIGARS FROM A BOX OF 50 COSECHEROS ABSOLUTLY DISCUSTING AND AT IDLE THEY WILL SET OFF A SMOKE ALARM, I HAVE NEVER RECIEVED A GOOD CIGAR FROM THOMPSON MOST ARE DRIED OUT AND YOU COULD NOT DRAW SMOKE FROM THEM WITH A VACUMN CLEANER. I CAN TRUTHFULLY SAY I HAVE NEVER GOTTEN A BAD CIGAR FROM FAMOUS AND THEIR SEVICE IS OUTSTANDING IM GLAD I FOUND THEM ON THE INTERNET.